Tips for Uploading Subscribers in the Correct Format. Cerkl makes it easy to upload lots of subscribers all at once. But there are some guidelines to make sure Cerkl can put all of the data into the correct fields. This same process is how you can attach a segment to a large list of users that already exist. This article covers some of the common ways to manipulate your subscriber's lists in Excel. For these reasons it is important that the first and last name not be confused. Cerkl asks for the CSV file to have the first and last name in the same column, first name first, last name last. 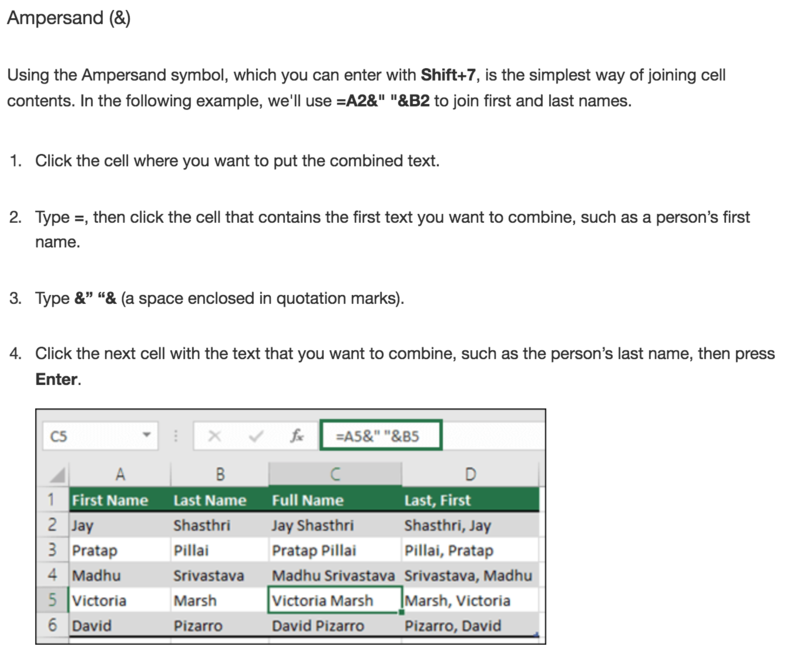 If you have first name, last name, and email address in individual columns here is how you combine those columns into one. Once the new column is created, it is being constructed through the use of a formula. So if you delete one of the columns it is pulling information from then the new column will be effected. And if you copy and paste the new column into a new spreadsheet it will not have the original columns to refer to for the formula. 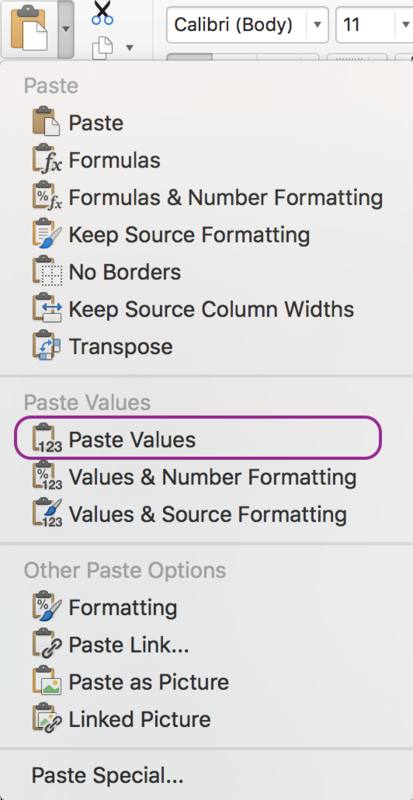 In order to copy and paste your new first/last name column into a new table, you will need to select the Paste drop-down arrow in the top left corner of Excel and click Paste Values. This will paste the values of the cells totally separate from the formula you created to get the values. Do the same thing for the email column and now you have a beautiful new subscriber list that is in the perfect format!